Click on image for larger version, use browser back button to return. 14 Oct 2014, the NJP is no longer in production. 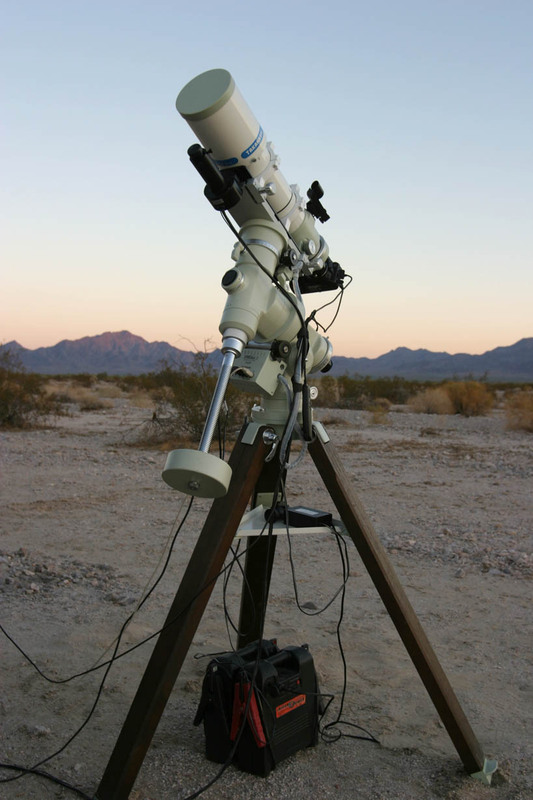 My new Takahashi NJP mount, taken at Desert Center, Ca.